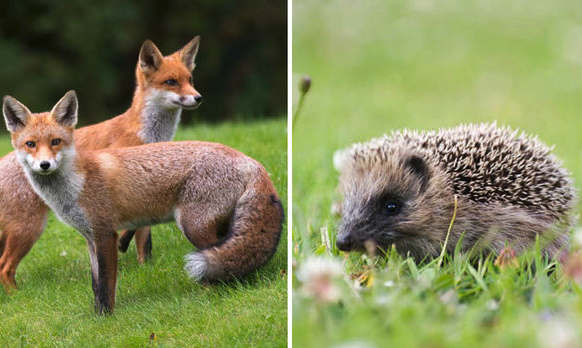 The UMC: Hedgehog or Fox? “The fox knows many things, but the hedgehog knows one big thing.” This quote is attributed to the 7th century b.c. Greek poet and soldier Archilochus. Archilochus did not provide a background for his reflection, but it is generally accepted today that he was referring to how both animals react to danger. When a fox is threatened, it responds by considering carefully the situation and devising a clever plan, which might involve running, digging, climbing, hiding, or engaging. On the other hand, the hedgehog simply rolls up into a protective ball, which is its best defense, and hopes for the best. Whereas the fox has many options, the hedgehog simply does the one thing it knows how to do very well. The philosopher Isaiah Berlin expanded on this metaphor in his popular 1953 essay, The Hedgehog and the Fox. According to Berlin, “There exists a great chasm between those, on one side, who relate everything to a single vision…a single, universal organizing principle” — the hedgehogs —- and “those who pursue many ends, often unrelated and even contradictory, connected, if at all, in some de facto way” — the foxes. In various venues over the past several months, I have been involved in discussions about the kind of leaders we need for the future of The United Methodist Church. In the fast-changing world in which we live, serve, and share Christ’s love, what qualities do we need in order to reach out to our communities in ways that are relevant, compelling, and transformative? There was general agreement that the hedgehog concept no longer works. Hedgehog churches are doing the same things they did a hundred years ago. They sit in their pews and wait for people to visit their church instead of proactively reaching out. Preoccupied by self-preservation, they have little interest in learning about the hopes and dreams of their community and lament the end of the “glory days” of their church. Hedgehog churches are afraid to risk doing a new thing because failure might mean the end of their congregation. Consequently, they roll into a little ball to isolate themselves from an increasingly secularized world. To become a fox is too unthinkable. The poster church for the hedgehog holds an annual fall festival, now in its 60th year, which the entire community looks forward to. Church members galvanize around baking pies, firing up the grills, using fancy tablecloths, and selling baked goods. They have a respectable turnout, but it always results in great disappointment a few months later when none of those guests return to attend worship. The congregation does not grow because church members are not able to engage others in meaningful spiritual conversation and always revert back to their single organizing principle: food. Hedgehog churches would be successful if they existed in a fixed environment that never changed. They would simply need to execute the one strategy they knew to be successful sixty years ago, and it would always work! Unfortunately, we no longer live in that world. By contrast, fox churches make a conscious decision to learn, grow, and change by giving up what no longer works. They connect with the spiritual yearning of their neighbors, move outside the building to get to know their community, initiate new and relevant ministries, and always remain flexible. What kind of leaders do we need in the 21st century church? Here are some responses that I have heard in recent weeks. In recent years, a number of major corporations added a new position, Chief Innovation Officer. 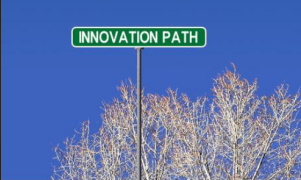 The rationale was that since the rapid pace of change in our world demands continual innovation and out-of-the-box thinking, someone should have as their only responsibility being the primary company innovator. What businesses are seeing now, however, is that every employee must be an innovator, no matter what their role is. If there is a Chief Innovation Officer, that person’s job is to create a culture shift where all employees are taught to think like a fox rather than a hedgehog, and processes are created that foster creative thinking and innovation. What might the future United Methodist Church look like if we trained, blessed, and released our clergy and lay leaders to be curious and clever foxes who relish complexity, challenge, and seeming contradiction? What if we decided that curling up into rigid little hedgehog church balls no longer works in today’s world? What if we identified unconventional entrepreneurs with the gifts of imagination, innovation, and thinking big to pioneer new ways of being God’s people? What if our ordering of ministry became more flexible? What if we started with the needs of our world rather than the needs of the institutional church in our passion to make, nurture, and send out disciples of Jesus Christ? How is God calling us to think and act like the foxes God has created us to become? dying. I will change FUMC to Hedgehog. I always am fed by your blogs. Thank you for sharing great insight. If we are conducting “Setting Boundaries” training for our clergy, using the same old words and ideas, we are perpetuating the Hedgehog UMC. Even if Rev. DeLa Torre’s philosophy bothered some people, it would have created more Fox congregations than this current training. I urge you to influence those persons who decide training curriculum, to embrace the Fox philosophy. I will never be able to think of the Fox as a villain again. I think the I may be closer to the Fox than the Hedgehog. I also know that there are times when it seems easier to let someone else act. I am not comfortable in confrontation situations, but sometimes we must confront injustice. Laurie you always point me in the right direction, and make it more difficult for me to be on the sideline. You won’t believe this ( because I had to see it with my own eyes) but the other afternoon there was a fox stretched out under my tree in my backyard ( I do live on a green belt). What a timely essay and what synchronicity!!! Perhaps there really are no coincidences! This is a great turn around for our church. I hope others receive this email and feel the same.